Congratulations on your new Polar Balance scale! Together with the Polar Balance weight management service and a Polar wrist unit with the activity tracking feature, you'll get personalized guidance on how to maintain or lose weight. The Polar Flow mobile app is also a part of the service functionality. This user manual helps you get started with your new Polar Balance scale. To check the video tutorials and the latest version of this user manual, go to support.polar.com/en/support/polar_balance. Weigh yourself by stepping on the Polar Balance scale, and then sync your weight to the web service wirelessly via Flow app or by plugging your wrist unit into your computer with the USB cable. The multi-user Polar Balance scale can be paired with up to 7 different Polar wrist units, and it also works as a normal Bluetooth® Smart scale. 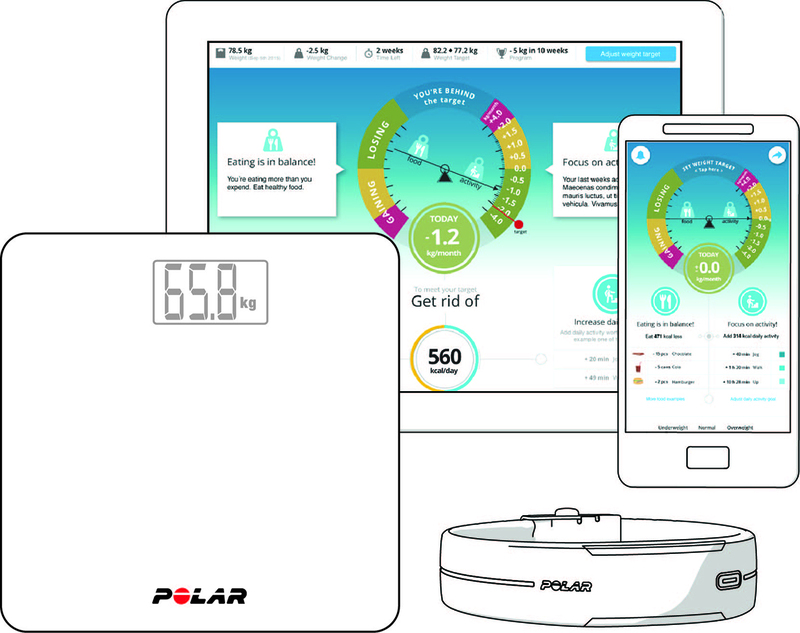 Get a personalized activity goal based on your current weight target from the Polar Balance weight management service to your Polar wrist unit. The wrist unit allows you to instantly see how active you've been during the day, and how much activity you need to accumulate to reach your daily activity goal. Polar Balance is a part of the Polar Flow web service. Set a weight target, and receive a daily activity goal and advice on how many calories less you need to consume per day to help reach your target. Get guidance to balance your activity and nutrition as well as follow your weight trend and see your BMI online. Find all this at polar.com/flow. Polar FlowSync syncs data between your wrist unit and the Polar Flow web service on your computer. Go to flow.polar.com/start to download and install the FlowSync software. View your activity and progress at a glance on your phone. Flow app syncs your activity and weight wirelessly to the Polar Balance weight management service. Get it on the App StoreSM or Google PlayTM.